After footage of the 2020 Toyota Supra leaked online last week, the hotly-anticipated fifth-generation model has finally been officially unveiled at the Detroit Auto Show after years of speculation, spy photos, and leaks. 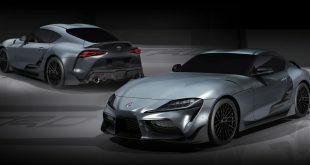 Officially designated the A90 Toyota GR Supra – with GR standing for Gazoo Racing, Toyota’s new performance arm – and built in collaboration with BMW, with it closely related under the skin to the new Z4, the new Supra is set to be sold locally from late 2019. As previously reported, the A90 Supra will be sourced not from Japan but from Austria, with it to be built by Magna Steyr alongside the new Z4. Two engines have been confirmed for the new model, both sourced from BMW, with the flagship Supra engine confirmed as a 3.0-litre straight-six petrol fitted with a twin-scroll turbocharger to help produce 250kW of power and 500Nm of torque. At launch, that power is sent to the rear wheels through an eight-speed ZF automatic transmission exclusively, although a manual is said to be on the cards for the Supra in the future. 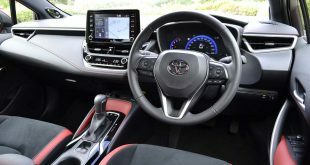 Nonetheless, with the aid of launch control, the auto box is able to help the Supra sprint from 0-100km/h in 4.3 seconds – 0.6 seconds faster than the slightly less torquey Z4 M40i. If the similar Z4’s specifications are anything to go by, the straight-six will likely consume somewhere around 7L/100km combined, although Toyota is yet to cite an official figure. Entry-level variants of the new Supra powered by a 2.0-litre turbocharged four-cylinder have also been announced, although whether any will be offered in Australia is yet to be confirmed. In the Supra’s home market of Japan, the base Supra SZ fitted with this engine will offer 145kW and 320Nm – curiously, that power figure is not only lower than what’s on offer in the Toyota 86 – while stepping up to the SZ-R bumps those outputs up to 190kW and 400Nm. The claimed 0-100km/h times for each state of tune are listed at 6.5 seconds and 5.2 seconds respectively. 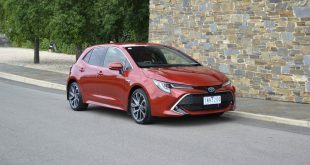 Currently, all Australian models are confirmed to be fitted with adaptive dampers and an electronically-controlled limited slip differential as standard, with a MacPherson struts in the front and a five-link rear suspension setup. Four-pot Brembo brakes are also standard fit, with 348mm front discs, while on the optional 19-inch wheels shown in the pictures you see here, the Supra rides on Michelin Pilot Super Sports rubber, with a staggered setup of 255/35s up front and 275/35s in the rear. 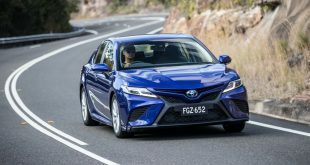 Toyota has made a great point of noting that the A90 Supra’s structural rigidity is greater than that of the renowned Lexus LFA, while it also boasts a lower centre of gravity than the 86. 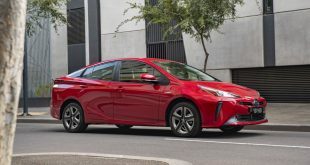 It is also perfectly balanced with 50:50 weight distribution and a 1.55:1 ‘golden ratio’ between the length of the wheelbase and width of its track. Measuring in at 4,381mm long, 1,845mm wide, and 1,292mm tall, the Supra is 57mm longer but 19mm narrower than the Z4. Curiously, its 2,468mm wheelbase is 2mm shorter than the Z4’s, while it sports front and rear track widths of 1,595mm and 1,590mm respectively. Its 1,540kg kerb weight is also up 5kg over the Beemer. Unlike the iconic fourth-gen model, the new Supra is a bonafide two-seater, rather than a 2+2, as part of the design and packaging goal – described as “Condensed Extreme” – was to give the new model a short wheelbase, large wheels, a wide stance, a two-seat cabin, and a long bonnet in front of a compact body. 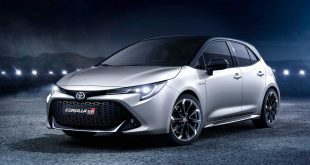 Toyota president and CEO Akio Toyoda – grandson of Kiichiro Toyoda, the company’s founder – is convinced that the setup will do the trick. “The new GR Supra was born through testing at the Nürburgring, and I can honestly say that it is a car that is fun to drive and better than ever,” he said at its launch. 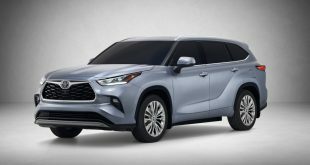 In addition to its performance-focused equipment, plenty of safety features will be packed into the new model, including autonomous emergency braking, forward collision warning, lane departure warning with steering assist, road sign recognition, auto high-beams, adaptive cruise control, blind-spot monitoring, rear cross traffic alert, and rear-end collision warning. As part of the link-up with BMW, the Supra also nabs plenty of interior details from the Z4, including using a version of BMW’s iDrive infotainment system with screen sizes of 6.5 inches in lower-tier models and 8.8 inches in high-spec variants. Although the Supra is set to go on sale in Australia before the end of the year, just 300 examples are set to be delivered Down Under within the first 12 months of its release. Details regarding local pricing are yet to be announced. In the meantime, you can watch footage of the official launch of the Supra at the Detroit Auto Show below, which includes the video that was accidentally released to Twitter late last week.